A former judge from Manitoba who compared rights of status Indians to a gravy train in an opinion column for a Thunder Bay newspaper earlier this month says it was meant to be taken as satire. And Brian Giesbrecht is surprised no one saw it that way. “It was satire and … nobody picked up on the fact that I was dealing with trying to poke fun at the system we have in a satirical way. 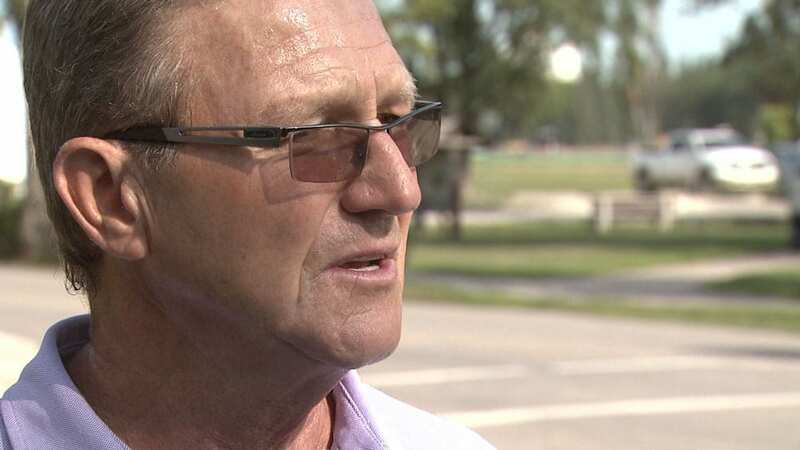 And I was very surprised nobody picked up on that,” Giesbrecht told APTN National News. The response to his column in The Chronicle Journal was swift as the satire, Giesbrecht speaks of, apparently failed to reach readers. 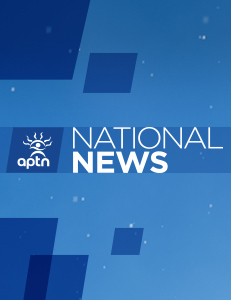 Giesbrecht told APTN his column was supposed to be a play on Jonathan Swifts “A Modest Proposal” from 1729 that dealt with the plight with Irish people at the time. He said most people, including Indigenous people, would probably agree with him that people’s entitlement to a particular government program should be based on need. “Because if it is not then what it means is that people who are earning less money have to pay for people that are earning more money. And I think that principle is very important, that we have fairness in the system,” he said. Giesbrecht is now a fellow at Frontier Centre for Public Policy, often considered a right-wing think tank. If he says its satire, then it’s satire. People need to hear the truth and stop these aggrieved social justice advocates , like universities and Aboringinal groups who promote a funnel of money to keep elite Aboringal Chiefs RICH and not look after their people on reserves. Chiefs allow their people to live this way. They do nothing for them to organize them into functioning communities and striving rural communities. The Aboringinal Chiefs should apologize for taking tax dollars like their $800 000 salaries. I stand behind Brian Geisbrecht and we need to hear more about this issue. As long as there are two separate laws in Canada , there will always be a tension. We want the same as our friends. Brian should have a column in the paper everyday. Ordinary Canadians are being discriminated, treated unfairly, being prejudiced against along with unfair tax, policy. As well as, the treat to our Constitutional Rights freedom of opinion, beliefs and thoughts. Keep getting the word out Brian. We have to stand up against this cultural appropriation . If Mr. Giesbrecht submitted the headline “A Modest Proposal” when he wrote the column for Frontier, they changed it . . . and apparently they too missed the satire. My opinion……poor Brian. He cannot open a venue of discussion without incurring the stigma of ostriches and navel gamers. Since when are the reserves surrounded by barbed wire and patrolled by guards? People are free to leave and join mainstream society, but who wants to give up the perts? Have to compete on a knowledge basis? It seems some people find it easier to stand around and complain they don’t get enough and advocate they are mistreated instead of helping themselves. Now is that racist? Or is it common sense. Where is the dialogue? Most expert opinion agrees that there is an invisible barrier to Indian Reservation life. It is the inexplicable barrier of living under an entirely alien set of laws cast for one particular race in the midst of the country of Canada. The Indian Act is a barrier, as even an idiot might imagine. Read it. It’s scary. It is intimidating law composed for one group, Indigenous people in Canada. It’s a barrier. It is a wall. It is a prison. It is racist dogma made law. It is hideous systemic boot on the neck law. I suggest you read it, And stop commenting until you have done so. -the use of humour, irony, exaggeration or ridicule to expose and critiize people’s stupidity or vices, particularily in the context of contemporary politics and other topical issues. This definition according to an online dictionary. Interesting that a judge, retired or not, would use satire when addressing this topic. Especially so this year and for the Thunder Bay audience. It is beyond my comprehension and I have a very good handle on satire. The Treaties are being completely ignored by this idiot. Payment was never made! Water would be clean on all reserves uf there was honour in the government. So far Trudeau has lied and broken promises just like every government since Sir John A. Macdonald pilfered the First Nations trust fund. Government is still stealling by abducating it’s feduciary responsabilities to fossil fuel and mining board rooms. Oh brother. The lamest reply ever after being called out for something inane, ridiculous or insulting, “I was just joking”. He should pay more attention to ‘joking’ about his own right-wing compatriots whose main concern is how much money can they get for ‘business tax breaks’ to funnel into their Panama accounts. “A Modest Proposal,” by Jonathan Swift was clearly satirical. To paraphrase “Swift’s proposal was to fatten up the undernourished Irish children and feed them to Ireland’s rich land-owners. Children of the poor could be sold into a meat market at the age of one, he argued (satirically, I might add), thus combating overpopulation and unemployment, sparing families the expense of child-bearing while providing them with a little extra income….” There was no doubt this pamphlet, published in 1729, was written with Swift’s tongue firmly in his cheek…clearly satirical. Apparently, Brian Giesbrecht’s letter to the editor (TCJ Aug.9th) was originally entitled “A Modest Proposal. He says, “I personally wish that the paper would have used my title which was ‘A Modest Proposal’ then it should have been very clear to people that what I was doing was writing satire.” I personally doubt that would have helped much, but that’s just MHO. That MOST of Thunder Bay, as well as TCJ itself (who printed an apology regarding the publication of Giesbrecht’s letter saying it was an ‘oversight’), missed this ‘ fact’ (which is only his opinion, and, retired judge or not, does not necessarily make it ‘fact’) that his letter was apparently dripping in sarcasm and was simply ” trying to poke fun at the system we have” (although I see no humour at all in ‘our system’) is evidence that, no matter the intended ‘spirit’ in which this letter was written, it had a very negative effect on most all its readers here in T.Bay. Perhaps the retired judge’s own city of Winnipeg would have caught his ‘satirical’ tone that we, here in Thunder Bay, missed. However, I truly doubt it. Why DIDN’T he publish his ‘satirical’ (synonyms for this word: “mocking, ironic, ironical, satiric, sarcastic, sardonic; caustic, trenchant, mordant, biting, cutting, stinging, acerbic; critical, irreverent, disparaging, disrespectful”) letter to the editor in his OWN city’s’ newspaper, The Winnipeg Free Press or The Winnipeg Sun? How (and why??) would he send a letter like that to Thunder Bay (with our current and ongoing serious problems) and not expect it to pour gas on the flaming embers of racism that we are trying to fight against here?? I have always believed that timing is everything and it appears that Mr. Giesbrecht has extraordinarily poor timing. I’m betting most of the racist people in Thunder Bay missed the sarcasm as well, and that his letter only served to reinforce their ignorant and disgusting racist demeanor. Thanks for nothing, Mr. Giesbrecht. Levity and satire (which is the use of “humor, irony, exaggeration, or ridicule to expose and criticize people’s stupidity or vices, particularly in the context of contemporary politics…”) are NOT the ‘advice’ that Thunder Bay needs right now. I would have thought any judge, with knowledge of today’s current events in Thunder Bay, would know better. Apparently not. THAT was surprising to me. That Giesbrecht’s response was full of excuses and not one apology — but THAT did NOT surprise me. A judge (or nearly anyone these days) that takes responsibility for his own words? RARE. ‘Satire is sarcasm’s witty cousin, often just as mean spirited,” but apparently it’s considered far more talented. Guess talent, like beauty, is in the eye of the beholder. In the future, Mr. Giesbrecht, publish those ‘talented’ (*now THAT IS sarcasm!) letters of yours to the editor in your own darn newspaper. Too bad he didn’t run his letter by the “Winnipeg THINK TANK” he belongs to before he sent it to Thunder Bay. “Winnipeg THINK TANK.” Now, there’s a sentence I never thought I would type.That, my good sir, is sarcasm. Plain and simple. we don`t pay taxes within our territories and subsidize the whole canadian populace with the utilization of resources extracted for any industries that utilize any said resource and what are we given in royalties? Not the lions share. First nations of canada are suffering more like 3rd world countries populations, our peoples have become disfunctional from the residential school system and the governments have hobbling tactics that hinder us as a people. The indian act benefits the general population more than the first nations, we have boots on the backs of our necks as we are held down and the disfunctionality of the indians act have us disillusioned and whipped into a disfunctional cycle. Granted there are some that are capable of getting out of this cycle because they are advantageously gifted in the area they are blessed with. But those out in the farthest rural areas that have no public access or poor resource opportunities suffer all types of social diseases. I do not trust politicians and cops, I feel a conspiracy is under foot to keep us disadvantaged. We are slowly getting a hold of what it is that you are doing to us and we have truth and integrity, some of us not all, like the cops and politicians we have bad apples in our ranks too. This is my venting, Gasper Jack, Xwistenmicw of the St`at`imc Nation, in Lillooet BC. The Irish did not appreciate the satire of Swift’s essay, and the indigenous peoples of Canada did not appreciate this attempt at it either. Nor do persons such as myself, who have bothered to learn about Canada’s history both before and after the arrival of European settlers. It angers me when people refer to the payments we make to status ‘Indians’ as ‘welfare’. It is a piss poor recompense we promised them in return for taking their lands, confining them to reservations where until recently in our history, they were literal prisoners unable to leave without written permission, not to mention the horrors of the residential schools and the 60s Scoop. Ah, the sheetcaking defence. Definitely sounds like some “sheet” to me!